From Israel to Thailand, from Russia to Argentina, share the diverse Sabbath traditions that come alive around the world each week. 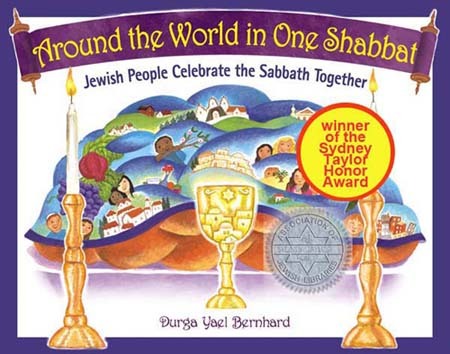 The book follows the cycle of one Shabbat in Jewish homes around the globe. Winner of the Sydney Taylor Honor Award of the Association of Jewish Libraries.